NEW! We've put some of our fishing tackle in our online store! This 39 pound rockfish was caught on November 24th and put us in 2nd place in the MSSA Fall Rockfish Tournament 2013! 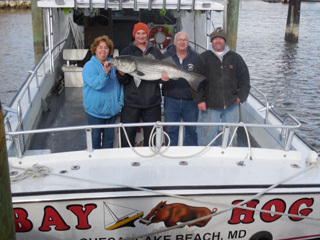 Pictured are: Cathy, Dan, Captain George of Tyler's Tackle Shop, and Phillip. 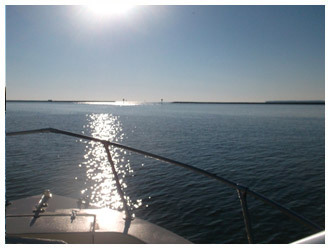 Find us on Facebook Tyler's has Gift Certificates -- always a welcome gift for any fisherman or seafood lover. Call or stop in and pick one up. 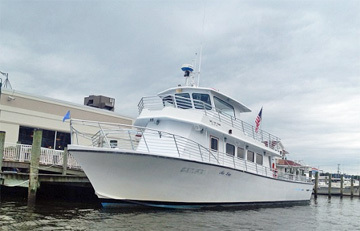 Think about booking trip aboard one of these fine charterboats, but book your trip early because the best dates always get taken quickly. Captain George talks with the skippers on almost a daily basis, because he knows that they consistently find and catch fish. Tell them Captain George sent you. 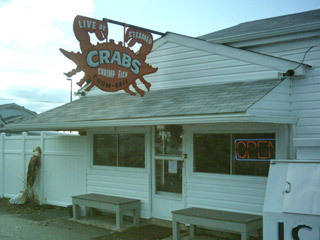 Do you know where your crabs came from? We do! 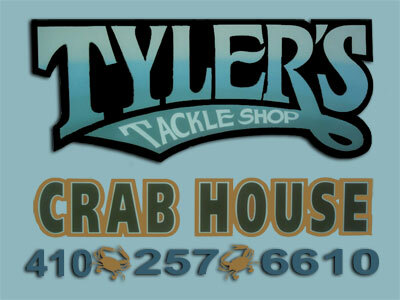 Welcome to Tyler's Tackle Shop and Crab House! 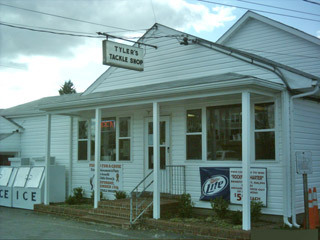 Tyler's has been part of the local landscape for decades. A few years ago George Klein, a lifelong commercial waterman, bought both the Crab House and the Tackle Shop, making improvements behind both doors ever since. So whether you're looking for fresh-caught seafood or the latest in fishing tackle, you've come to the right place. 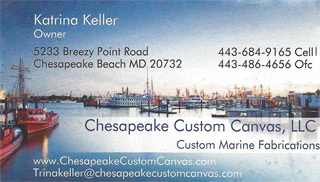 Need a place to stay in Chesapeake Beach? 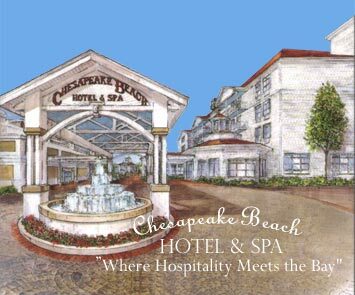 Try the Chesapeake Beach Hotel & Spa. For reservations or information, call toll free 866-312-5596 or visit their website. 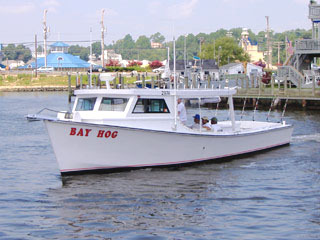 For questions regarding seafood or tackle, email Captain George. To send comments or report problems with this website, email the webmaster.